We’ve recently added create, update, and delete functionality for equipment API! We’ve enhanced the mobile view for the Purchase Orders Module, Reporting Module, Users, Resources, Inventory Module, Organization Settings, Equipment Module, Planned Maintenance Module, and Transportation Requests and released the ability to sort in the mobile grid view! We’ve also improved the mobile view of file attachments to requests. We now have the ability to create a “Currency” custom field!. Take a look at this article from our Learning Center for more information on creating custom fields! Have you ever wanted to have a specific scheduling window for a certain User Type? Now you can by navigating to the Organization Settings, selecting the User Type and creating the scheduling window in the Schedule Request Settings or Transportation Settings! You now have the ability to add Reservation Time, Setup Time and Teardown Time to the sortable columns in the Grid View! We’ve recently released the ability to edit the Resolution Timestamp of Work Requests. You can do this by navigating to the resolved request and clicking “Edit: in the resolved section. This permission can be turned on at the User Type Level! Now you can copy and cancel a Schedule or Work Request simply by clicking into the request in the Calendar View. Take a look at this article from our Learning Center for more information on copying a request! Now you can create a custom field in the Line Items section of a Purchase Order! You can create this by navigating to the Custom Fields tab in the Organization Settings. We’ve recently released the ability to edit the Execute Timestamp of Planned Maintenance Tasks. You can do this by navigating to the executed task and selecting edit in the “Execute” section. This permission can be turned on at the User Type Level! We’ve created a "Kiosk mode" which will bring you to a new request page that eliminates the modules on your FMX site and keeps the user on the “new request” page after they submit a request. Contact your Customer Success Manger for more information on how to set this up! You now have the ability to require a Finalization Stage after a Planned Maintenance Task has been executed. This can be set up in the “General” Planned Maintenance tab in the Organization Settings. You can now view the Mobile View in Desktop view. To change this setting select the “settings” icon button in the grid view and scroll to the bottom to check the “Desktop view” button. 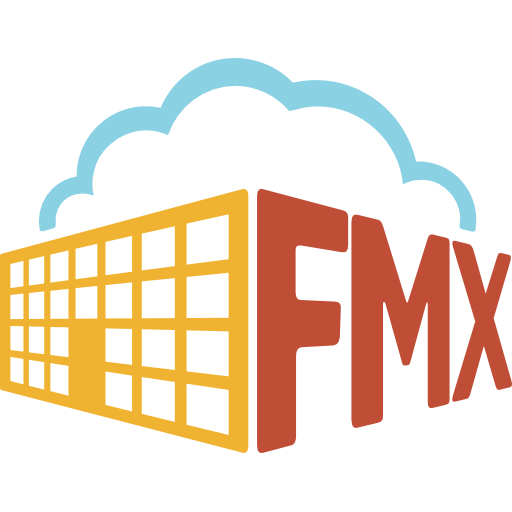 Have you ever wanted to add FMX as an icon to the Home Screen of your mobile device? Now you can by following these directions found in our Learning Center!